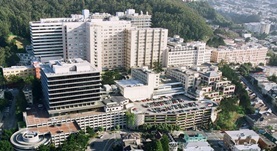 Dr. Jonathan Singer graduated from the University of California San Francisco School of Medicine and later completed both his residency and fellowship program at the UCSF. He is specialized in Pulmonology and board certified in Critical Care Medicine and Pulmonary Disease. Dr. Singer has been in practice for more than 11 years and is affiliated with the University of California, San Francisco. During his career, he has also contributed to several research publications. Dr. Jonathan Singer has contributed to 3 publications. Body composition and mortality after adult lung transplantation in the United States. Singer, J. P.,Peterson, E. R.,Snyder, M. E.,Katz, P. P.,Golden, J. A.,D'Ovidio, F.,Bacchetta, M.,Sonett, J. R.,Kukreja, J.,Shah, L.,Robbins, H.,Van Horn, K.,Shah, R. J...; Am. J. Respir. Crit. Care Med.. 2014 Sep 19. Singer, J. P.,Chen, J.,Katz, P. P.,Blanc, P. D.,Kagawa-Singer, M.,Stewart, A. L.; Qual Life Res. 2014 Dec 05. Practice variation in Aspergillus prophylaxis and treatment among lung transplant centers: a national survey. He, S. Y.,Makhzoumi, Z. H.,Singer, J. P.,Chin-Hong, P. V.,Arron, S. T.; Transpl Infect Dis. 2015 Jan 27.